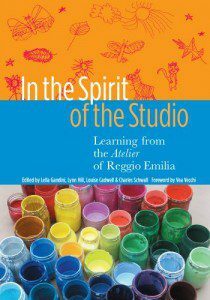 Here is a reposting of one of Elena Aguilar blogs we find very helpful. Many of our clients have attended her training sessions on our recommendation. We hope this is useful in your work. In a series of blogs, Aguilar explored five components to an equity-centered coaching approach: 1) What you see in schools and 2) Where you look when you’re in classrooms (See this blog) 3) Who you listen to and how you listen; 4) How you cultivate your self-awareness, (See this blog) and 5) What you say and do about what you see and hear. (The first blog on this topic was Why We Must All Be Coaches for Equity). This post explores the last component: what an equity-driven coach says and does. Warning: Do Not Pass Go Without Trust I’m going to suggest you say and do some things, but remind you that you may not be very effective without a solid foundation of trust. All of these suggestions are predicated on the assumption that you have solid (not extensive, not decade-long) trust with your coachee. (There’s more on building trust in my book). Go: Gather and Share Stories A coach for equity gathers and shares stories, the stories of those who have less access to audience, those whose stories are sometimes undervalued, whose stories are washed away in data reports and soul-less numbers. What was your experience as a child like in school? When did you feel you belonged? Tell us a story of a time when you felt dehumanized or unseen, when you felt that who you are wasn’t valued. What do you want for your child? How can we best serve him or her? I would like to listen to your stories, if you would like to share them. Tell me about your experience as a child in school. Tell me about your experience now, as a teacher in our school. Tell me about when you felt you belonged, and when you didn’t. Tell me about how your identity and background influence who you are in the classroom. Pushing Stories into Action We push the stories and also sometimes that data sets into the center of the table. We insist that our school’s leadership team explores why 75 percent of our black and brown boys are suspended, whereas only 15 percent of our white students are. Our English Learners need opportunities to speak. How can we integrate speaking structures into your lesson plans? Can I model this strategy for you? Would you like to observe someone else using this strategy? Can we start this tomorrow? We ask: How can we create meaningful opportunities for our families to participate in our school? We ask: How can we attract a teaching and leadership force that more closely reflects the backgrounds and experiences of our students? How can our hiring practices reflect our values? We insist that children have picture books that contain images of children that look like them–and that those books depict children-who-look-like-them and are in situations of empowerment, possibility, creativity and expansion. In other words: I don’t want my black son to only see and read about black people being enslaved, or attacked by dogs, or lynched, or protesting injustice, or starving, or escaping war or famine. I want him to read about black boys who are adventurers, builders, peace makers, nerds, artists, and so on. Tell me how you’ve come to that conclusion. Can you name the belief you’re holding about parents? If you hold that belief, what’s possible–for you as a teacher? For the kids? Is there any other way to understand the things you’ve heard parents say and the interactions with them– other than to conclude that they don’t care about their kids? Would you be willing to sit with a parent and listen to what he/she says? What do you think they’re feeling? What are you gaining by holding on to that belief about parents? What does that allow you to do? If you were to get curious about what’s going on with parents, what would you ask? Instigate Curiosity Above all, a coach for equity raises questions. We unsettle thinking, push, probe and nudge. We seek to open, deconstruct, and explore. The questions we raise far outnumber the statements we make. What do you know about this student? What do you appreciate about him? What do you like about her? What would you like to learn about him? What questions do you have about her? When does she shine? What do you notice about how she engages with peers? What do you notice about what motivates her? What might be possible for her? Unwavering Focus We look at who is not succeeding in a class, whose needs are not being met, who doesn’t have voice, and with empathy for the teacher, we insist that he or she learns and does whatever is needed to meet those children’s needs. We stand with teachers while they learn, knowing that they can learn, refining our coaching so that they can be successful–without taking our eyes off the children. Simultaneously: We Never Stop Learning We learn coaching strategies to explore beliefs, to stand next to someone while they explore their biases, to guide them in their learning. We explore our own biases and learn about how systemic oppression and racism impact our school, students and communities. We model the way of the learner, offering to walk alongside others as they learn. We seek out those who are not like us, listen to their stories if they are offered. We don’t ask them to be our teachers, but with humility we show up as learners. We ask ourselves questions–hard questions, raw questions. We manage our discomfort, confusion, grief, sadness, despair. We give these feelings a platform, recognizing that we won’t drown in them, acknowledging that they deserve a space. We find reserves of courage and we use them. Then we fill them up again, because we need reserves that are well- stocked, because there is a lot to do to make our schools places where each and every student is seen for who they are, where their individual needs are met on a daily basis, and where they can explore who they are as dynamic, complex human beings. 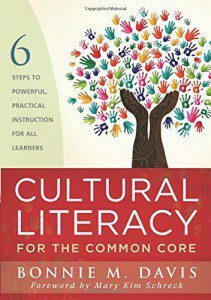 Recently we reviewed Bonnie Davis’s newest book, Cultural Literacy for the Common Core. 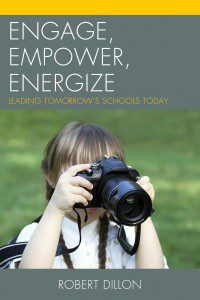 What follows is an interview of Bonnie discussing her new book with Dr. Robert Jarvis, Outreach Director of the Delaware Valley Consortium for Excellence and Equity.